If you are planning to use the TI's CC25xx series you have two choices - use the CC2540 or the CC2541. We have attempted to list out the difference between the two. The CC2541 removes the support for USB as compared to CC2540. It instead, introduces hardware I2C on the same pins. So, if you do not plan to use USB, the CC2541 could be a better choice, but you should also look into other differences as well. If you are using I2C, this could be another reason why to prefer CC2541. The CC2540 has higher transmit power at 4 dBm compared to 0 dBm in CC2541. The CC2540, should therefore have slightly better RF performance in terms of the range of radio. The higher output power in CC2540 comes at the expense of more power consumption - it consumes 27 mA when driving 4 dBm transmit power as compared to 18.2 mA in CC2541 when driving 0 dBm power. Additionally the receive power consumption in CC2541 is marginally lower at 7.9 mA versus 19.6 mA in CC2540. Other than the differences listed above the CC2541 is pin to pin replacement for CC2540. It can be substituted and all circuits, except the USB / I2C differences as noted above. If you are working on a large project, you need to have multiple sheets on the Schematics. We will show you how to add multiple pages in Schematics in the free EDA tool - KiCAD. If you come from OrCAD Schematics background, you know that it is possible to create multiple sheets with or without Hierarchical blocks. In KiCAD, multiple sheets connect only through the hierarchical blocks, and there is no way, as far as I know , to connect the multiple sheets of schematics using something like "off page" connector. So let us say your schematics has two sheets - call them page1.sch and page2.sch. You first create a top page that has hierarchical blocks pointing to the two schematics page. You then interconnect the two hierarchical block. The SDRAM memory is still used in many embedded devices - most of which use the TSOP-II , 54 pin type of package. Some example of the memory using this memory is - Hynix H57V2562GTR Micron MT48LC16M16A2P-6A:G TR etc. The drawing for this package is here. Here is the recommended land pattern for these types of ICs. How to create footprint in Allegro using Package Symbol wizard. If the footprint that you wish to create in Allegro PCB design, has large number of pins that fit in regular size ( SOIC , TQFP etc), you can use the Package symbol wizard to quickly create the footprint. In this tutorial, we will show you, with example how to do that. We have used the Xilinx XC6SLX9-2TQG144C part as an example to walk through the steps required to use the package symbol wizard. Step 1 : Collect the required footprint information. The document here lists the package. The page 71 of the document here lists the land pattern. These will used to create the symbols. The recommended land pattern is reproduced here. 3. Use File -> New Package Symbol Wizard to make make symbol ( footprint). 5. In the next screen click on Load Template ( leave Default Cadence supplied template). Click Next. 6. Select Millimeter in the next screen against both fields. 7. In next screen - set Vertical Pin Count to 36 and Horizontal pin count to 36. 8. In the next screen set e1 and e2 to 21.40. 9. Click next and select the padstack you created in step 1. Unfortunately, the newest does not mean the greatest. The CC2540 has integrated USB devices which means that it will integrated seamlessly with externally USB host. We are not sure why TI decided to knock off the USB from the newer CC26xx series. 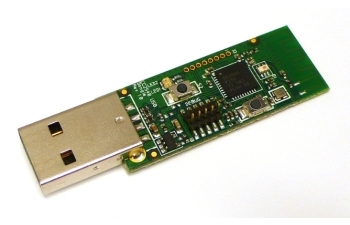 The integration of the USB would have allowed developers to take advantage of the integrated USB. If you do wish to use the USB with CC26xx, you may use the USB to serial port chip, like PL2303, which unfortunately adds to cost and its integration with software is not as straight forward. TI obviously is following the industry standard of following the ARM Cortex Mx line when it upgraded the 8051 to the Cortex M3. If your application requires something more complex in computation, you will benefit from the newer CC26xx line of processors. Another important aspect of CC26xx is that it has a separate Cortex-M0 to run the lower layers of BLE stack. The Cortex-M3 on the other hand, runs the application and the upper layers of the Bluetooth stack. This separation reduces the burden on the M3 and makes it faster. One critical area to notice is the leap improvement in the power consumption. The CC2540/CC2541, the power consumption is 17mA to 18mA compared to 5.9 mA in Rx and 6.1 mA in Rx ( @ 0 dBm) with CC2640. So if power consumption and long battery life is your concern, the newer CC2640 is the right choice. For the same given power, the TI proposes better receiver sensitivity, which may translate into better slightly better RF performance. The CC26xx is newer device and the support for tools is not as great as for CC25xx. For example we have a USB stick for CC25xx for $49 here . We do not have anything like that for CC26xx. Signal Integrity refers to minimization in the degradation of high speed signal as it travels from one point to another. EMI on the other hand, is concerned (mainly) about the radiation from high speed signal ( and of course, from the associated return path), as it travels from one point to another. A signal may be bad from Signal Integrity perspective but may still not be radiating to the extent of failing the specification. However, a set of causes that create a Signal Integrity issue also cause EMI Issue. In this article we will examine these set of common causes. Fixing a common cause results in improvement is Signal Quality as well as reduction in EMI issues. There is yet another set of fixes, that attempts to fix the EMI issue, but degrades the Signal Quality. We will examine these issues as well in this article. Sometimes we create a gap in the Power or the ground plane which are used as return path for high speed signals. This creates an impedance discontinuity for high speed signal and creates Signal Integrity issue. It also creates and Antenna for the High Speed Signal and creates EMI Issue. We all know that the high frequency noise on Power Supply affects the Signal Quality. One way to reduce the high frequency ( close to 1 GHz) noise is to reduce the separation between the power and Ground plane ( as low as 2 mils). The reduction in separation increases the Capacitance between Power and Ground plane and not only improves the Signal Quality but also helps in EMI issues. A split in power plane creates a temporary impedance discontinuity. This degrades the signal quality and also creates EMI issue by spreading out the signal. To fix the issue, reduce the separation between the split planes to as low as 6 mils and use stitching via capacitors. The Cross talk is a problem in Signal Integrity where the Signal Quality in the victim net is degraded by the coupling from adjacent net. In EMI this issue is created when is high speed net couples a victim net that goes on a connector and then to a cable. Some fixes for EMI / ESD issues degrades the quality of the Signal. We use common mode chokes right at the connector to reduce radiation through the cable. However, the selection of right kind of common mode choke is essential and we must know the extent to which it will degrade the quality of the Signal. Similarly, components used for ESD protection at the connectors, also degrade the quality of the signals. We must be aware of the extent to which it will degrade the signal qualty.